I come barreling over a hill in a dune buggy, flames gushing from my tailpipes. In my peripheral vision, I notice a warehouse coming up on my right and adjust my course accordingly. Warehouses, more often than not, are loaded with supplies – guns, armor, medicine and the like. As I book it down the hill, the ground plateaus. From out of nowhere, I hear shots. They start hitting me, and they won’t stop in this exposed, rusted scrap of metal. But a muzzle flash reveals my assailant dead ahead, lying in the grass in front of a fence. If I keep barreling towards him, I’m toast – I’ll be making myself an easy target. I resolve to make a last ditch effort to stay alive and veer to the left as the car’s still hurdling towards the fence. In a smooth, 180-degree arc, I drift the buggy to deflect my attacker’s shots. Luck, however, was with me. With that turn, I not only take the entire flimsy, splintered fence with me, but I manage to send my would-be killer flying through the air. He’s dead in one hit. I get out, dust myself off, and loot his corpse before I venture further into the battlefield. None of what I described above happened within the confines of a scripted event. There were no contextual actions or QTEs involved, no cinematic framing to make the moment seem larger than life. It was me and one other player, alone in a corner of the map, trying to outlive each other. By the skin of my teeth, I came out of the encounter alive, but it could’ve just as easily resorted in an early, inglorious elimination. This is the beauty of Playerunknown’s Battlegrounds. It’s a giant, 90-odd person murder sandbox that gives players complete control. The concept is as simple as they come. Players are dropped onto different corners of an island. A toxic gas corrals them into smaller and smaller territory, consequently forcing them to get closer and closer throughout the course of a match. Along the way, they pick up any weapon they can get their hands on, and pick off as many people as possible. The longer a match runs, the more tense it gets for all parties involved. A blind eye, a missed shot, or an ill-timed swim can spell near-instantaneous death. When it comes to large-scale deathmatches, it doesn’t get much purer than that. It feels pretty decent to play, too. While it comes with a heaping helping of Early Access jank, which runs the gamut of issues, from weird clipping to wonky animations to limited movement, the basic gunplay is pretty great. It’s impressive to me, too, that any type of player can tailor what they find to their experience. I’ve had just as much luck holing up in a house with a double barrel as I have creeping through a field with an AR, and gotten just as many kills picking off people with sniper rifles as I have rushing them with guns a’blazing. The sheer pliability and dynamism of play options makes the jank manageable, especially considering that’s a budget-priced Early Access title. That said, I think melee combat is pretty awful – hitboxes are dodgy, and melee weapons just don’t feel very good. But that’s something that could easily be changed in the coming months. 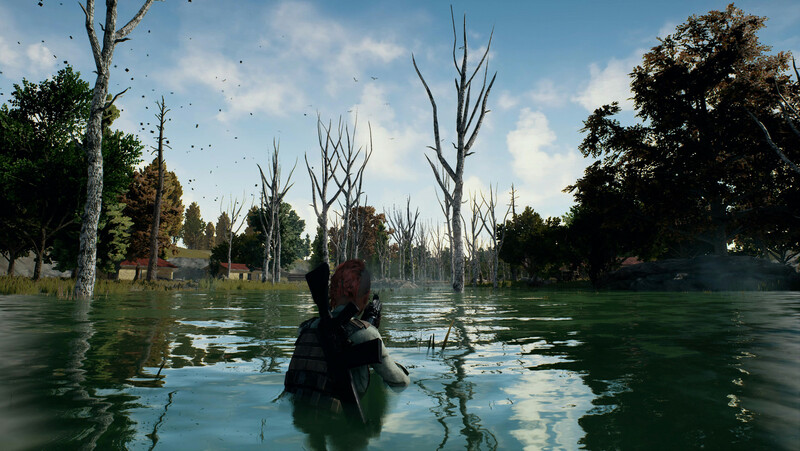 A lot of changes have been made since PUBG launched, with more fixes and tweaks arriving on a routine basis. Bluehole has done a remarkable job of rolling out steady patches. There have been numerous balance changes, alterations to the drop rates, added features, and visual tweaks. 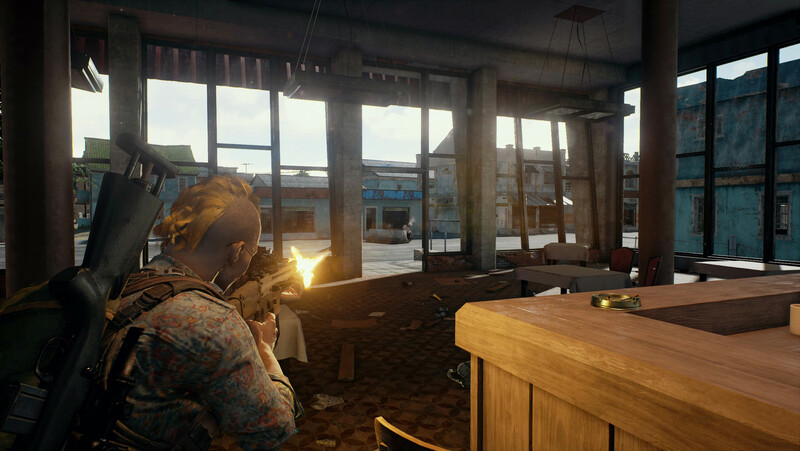 Early Access is kind of a dump, but PUBG is an example of how devs should use the system – to consistently build a game up to its full potential alongside the community. While only time will tell how finished the game is when it debuts in a truly complete retail form, I have a good feeling that it’ll be an even more fun experience than it is now. That said, a recent development has caused me a good deal of concern. With the game still in development, Bluehole has rolled out a crate and key system in celebration of GamesCom. While the things found in the crates are purely cosmetic, the idea of an Early Access game having microtransactions is kind of gross. I don’t really care if it goes to the prize pool of a tournament or not – the game isn’t finished, and asking for more cash for hats is something best reserved for when your product isn’t still kind of janky and unfinished. I genuinely hope this doesn’t set a precedent, and that focus isn’t diverted from finishing the game towards making skins. That’s the kind of stuff that dooms games. Still, I’ve had a good deal of fun with PUBG so far. I’m definitely not as addicted to it as I am, say, Overwatch or Friday the 13th, but I do play two or three games almost every time I’m screwing around on my computer. It’s become a consistent staple of mine, and I suspect it will for a good while. Bluepoint’s elaborated on H1Z1’s concept in a major way, by which I mean not making a total piece of garbage. I hope this game continues to grow and develop in major ways over the coming months or years, and that the developers don’t rest on their laurels due to early favorable reception.